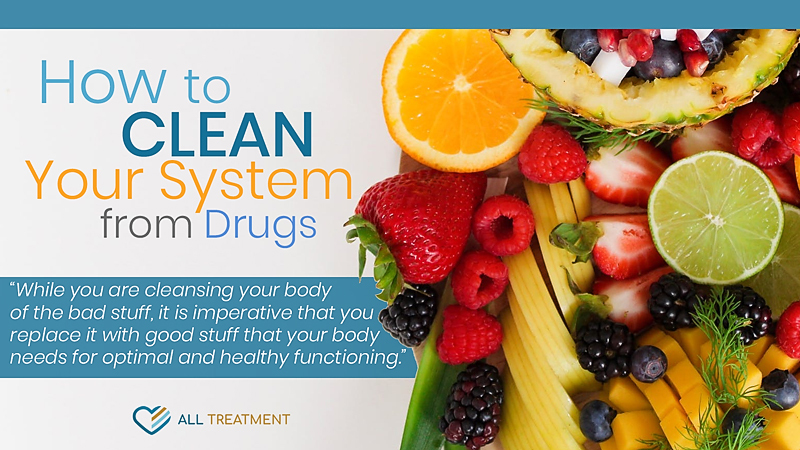 Perhaps you’d like to be healthier in life, or maybe you have real concerns about your substance use but you’re ready to cleanse your body of dangerous toxins. So now what? Detoxing yourself from alcohol and drugs is not a fast-and-easy process, but it is relatively simple. It doesn’t require pills, supplements or even regimented routines, but it does require determination and some new habits. The best way to be successful in your efforts to detox is to understand what the process is. The definition of detoxification is the process of removing toxic substances and qualities, and it’s a process that happens naturally in your body. Detox involves several organs but begins in the liver where toxins are processed for excretion from the body. Other organs involved in processing toxins out of your body include your intestines, kidneys and lungs. Although detox is a natural process that’s coordinated between several internal organs, prolonged drug and alcohol abuse can overwhelm the detox mechanism and make its parts sluggish, damaged, and less effective. In addition to giving your vital organs a break from overwhelming amounts of toxins, detoxification has additional benefits that will help you to maintain sobriety, a healthier lifestyle and avoid future injuries and serious illness. The first and most important step to detoxing your body from drugs and alcohol is to consult your doctor on the safest and most effective way to accomplish your goals. Your doctor can work with you to assess any potential complications or risks based on your medical history. It is also a great idea to inform at least one other person who is close to you and can check in on your progress or assist if you need help. With the go-ahead from your doctor to detox yourself without needing a medical facility, you’re ready to begin withdrawal from all substances – and of course, that means it’s time to stop drinking, smoking and using all other drugs. You may experience some discomfort from withdrawal symptoms, depending on the substances you’ve used and the severity of your substance use. Withdrawal symptoms vary based on individual circumstances, but most symptoms wain within 10 days. One of the most important things you can do during this time, and throughout your detox process, is to drink lots of water. Hydration is an essential part of maintaining health, and it’s the best conduit to flush toxins from your body. The more water you drink, the faster you will be rid of toxins. Under normal circumstances, you should drink 64 ounces of water every day. While detoxing, it’s recommended that you consume at least 80 ounces of water each day. Drinking water can get boring, so if you want to, add some flavor to your water. Another hydrating drink to try is coconut water. It’s just as hydrating as regular water, with the added benefit of potassium. Do be careful with your selection of coconut water, especially flavored packages that may contain artificial flavors or high amounts of sugar. Stay away from packaged juices, sodas and any other drinks with refined or added sugar. Fruits and vegetables like lemons, beets, asparagus and garlic are loaded with antioxidants, which keep your liver healthy and play an essential role in your body’s cleansing process. The effectiveness of sweating out toxins is heavily debated, as scientific evidence only confirms a minuscule amount of toxins in sweat, whether it’s from exercise or time spent in a sauna. Detox is a good thing to do for your body and your lifestyle because it involves living your healthiest life, which can have the added benefit of establishing some healthy habits for the future. While you are cleansing your body of the bad stuff, it is imperative that you replace it with good stuff that your body needs for optimal and healthy functioning. During and after your detox, the best thing you can put into your body is a diet of clean foods. In addition to lots of water and hydrating fluids, your diet should be as clean as possible, which means avoiding foods that contain chemicals, refined sugars and flours, and artificial colors, flavors and preservatives. Superfoods like kale, spinach, broccoli, arugula, cabbage, seaweed, wheatgrass, celery and cucumbers are best when consumed whole and in their natural states. You can eat them in a healthy salad or toss them in a juicer to give your body the benefits of their high vitamin contents, fiber, antioxidant and anti-inflammatory properties. There’s virtually no bad fruit, but some stand out as superfoods, like grapefruit, blueberries, goji berries, cranberries, lemons, pineapple, pomegranate, strawberries and watermelon. These fruits are wonderful for their high vitamin content, anti-inflammatory, and antioxidant properties, and are terrific assists for your organs to stay healthy and flush out toxins. Grapefruit, in particular, contains plenty of chlorella, which is a toxin-eliminating powerhouse. Healthy fats like those from fresh fish (salmon, tuna, trout, mackerel, herring), avocado, nuts (almonds, walnuts, macadamia), and olive oil. Healthy fats from foods like these help boost heart health and overall health. Things like yogurt and kombucha are all about probiotics, which promote a healthy gut and digestive function. Take caution with kombucha, as it is a fermented drink and may contain trace amounts of alcohol. Also, be sure to check the sugar content and other ingredients on both products. If you cannot pronounce the ingredients, don’t buy it! Whole grains are complex carbohydrates that break down in the body to provide natural energy during your detox. The best carbohydrates are found in brown rice, quinoa, barley, lentils and beans. These foods are also rich in fiber, which helps with healthy digestion. It’s important to avoid foods like white bread, white rice, pastries, soda and candy as they can cause spikes and crashes in energy. Protein is a natural healer for your body’s organs, tissues, bones and muscles. Protein can also lower your blood pressure, increase metabolism and increase muscle mass. Some of the many foods that are high in protein include eggs, chicken, yogurt, cottage cheese, broccoli, lean beef, quinoa, fish and turkey. The reality is that everything you put into your body has an impact, which is true for the drugs and alcohol you use before detoxing, and everything you eat and drink after. The key to your diet during detox is to give your body as many natural nutrients as possible to recover from substance abuse. Limiting yourself to healthy foods and drinks during detox is also a great way to change your eating habits for the future. The healthier the foods you eat, the more capable your body will be to resisting illness, injury and relapse. You may find that detoxing is incredibly difficult to do, or you may breeze right through it. Individual circumstances will determine the degree to which you can handle your detox on your own. It can be beneficial to have a companion with whom you can complete your detox. Having someone to talk to can be an invaluable asset in completing your detoxification. It’s not a bad idea to take inventory of your experience with detox. The way you experience something like cleansing your system of toxins can reveal a great deal of information about your health and how addicted you are. The truth may be that you’re more addicted to carbs or sugar than you are drugs or alcohol. Perhaps you discover that you have a more serious problem with alcohol or drugs than you originally thought. The good news is that you have tested yourself, and you’ve learned a great deal about yourself and your lifestyle. As long as you’ve consulted your doctor before embarking on a detoxification journey, you’ve ensured your ability to be safe through it. Detoxing takes a lot of hard work and determination from the onset, and whether you reach your goals or not, you can learn where your weaknesses are and get professional help to address the issue next time. Whatever your reasons for cleansing your system of toxins, the process requires enough determination and self-reliance for you to understand where you stand with your diet, lifestyle and substance use. From there, you can have a clear view of what changes you want to make and if you need professional help to make those changes. Remember that it’s never too late to ask for help and it’s never too late to make meaningful changes in your life. Does Sweating in Saunas Really Remove Toxins?